When it comes to professional Wanaka Plumbers who are easy to work with and have a good sense of humour, you need to look no further than Glen Williams. 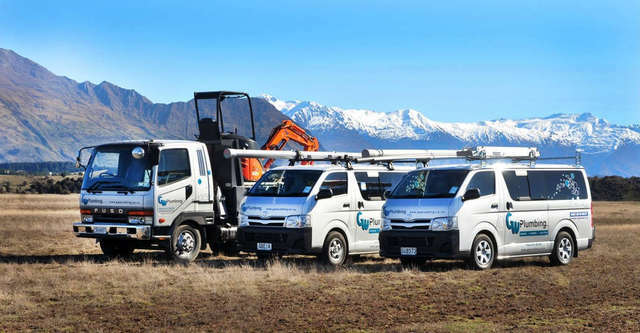 Glen established GW Plumbing in Central Otago after many years of working for others in the industry. He is a registered plumber and certified drain layer. He is also currently working towards gas fitting certification. At present all gas fiting jobs are undertaken in conjuction with Glen's father - Barry Williams. This guarantees his Wanaka and Central Otago based clients quality assured workmanship. Glen and his team work on residential and commercial projects throughout Central Otago. Glen has lived in Wanaka his whole life and is one of Wanaka's longest serving plumbers. For bigger projects Glen employs the services of additional team members, to ensure the timely delivery of your project. Team members vary depending on the project and specialist skills required. Animated plumbing disaster video clip. For your amusement here are a few plumbing jokes. How many plumbers does it take to change a light bulb? Two: One to get the beer and one to call the electrician. "A plumber is the only guy I know who can take a leak....and fix it also!" "Did you hear that someone broke into our local police station and stole the toilet? Right now the cops have nothing to go on....."